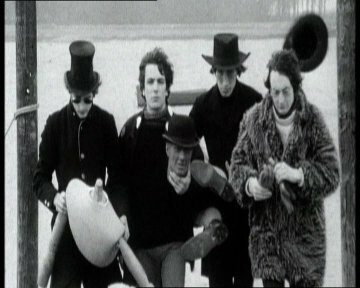 Pink Floyds very first single. It is of course written by Syd Barrett, so it's says itself, it was before Davids time. Anyway, the group had just been formed so there was a lot of experiments. The reason for the song lyrics is quite funny. As you know, Syd was born in Cambridge, and at the same time as the band were about to make songs, there was something strange happening in Cambridge. There actually were someone who was steeling peoples underware (ladies underware!!) at night time. When Syd got to know this, his idea was to write the song "Arnold Layne". He wrote about a transvestite who was steeling womens underware from the washing lines. And do you know, the steeling ended after the song came out.. Someone probably felt bad and busted. Maybe a guy named Arnold. Maybe someone else! The song is actually not on the bands first cd "The piper at the gates of dawn". When the single were ready they started to sell it, of course. But in London, the song was banned because of the lyrics. When the song was banned, people just wanted more! 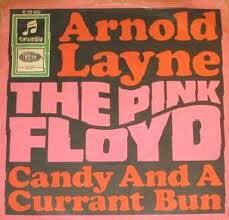 On the single "Arnold Layne" there actually was another song as well on the B-side. The song was first called "Let's roll another one". It's written by Syd Barrett and is about smoking weed. 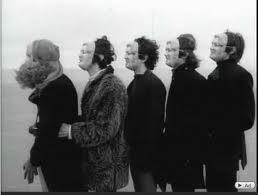 Before the single got out, the band wrote some new lyrics and called the song "Cany and a current bun", a song much more known than "Let's roll another one". It's not easy to find the 'first version' but it is actually on "A tree full of secrets". Check it out if you like. If not, don't!